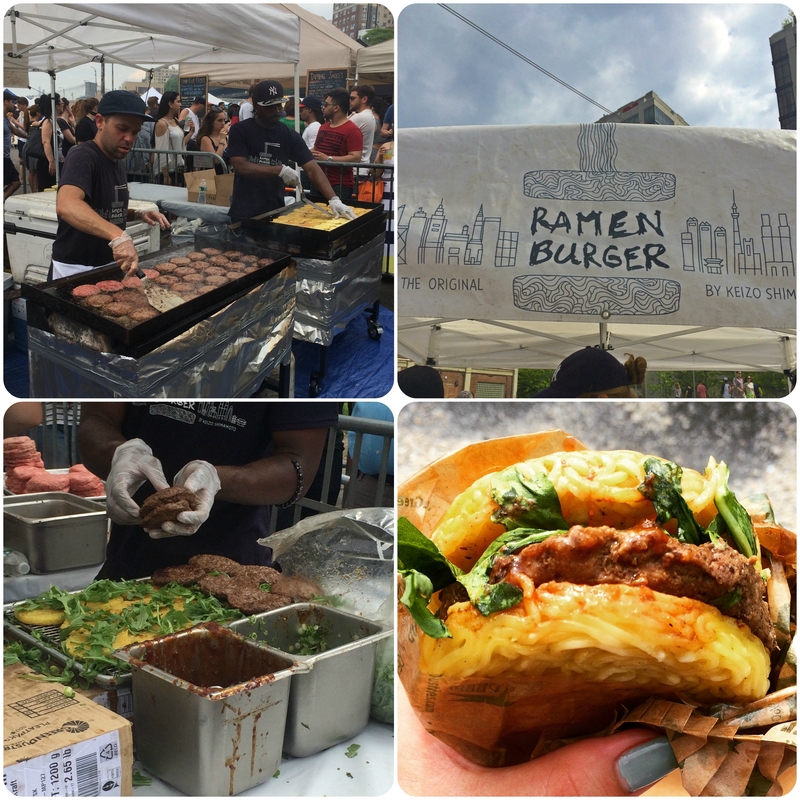 This wasn’t my first time at Smorgasburg and it certainly won’t be the last! This weekly event, which takes place in several locations in New York, is one of my favorite things to do once the warm weather rolls around. 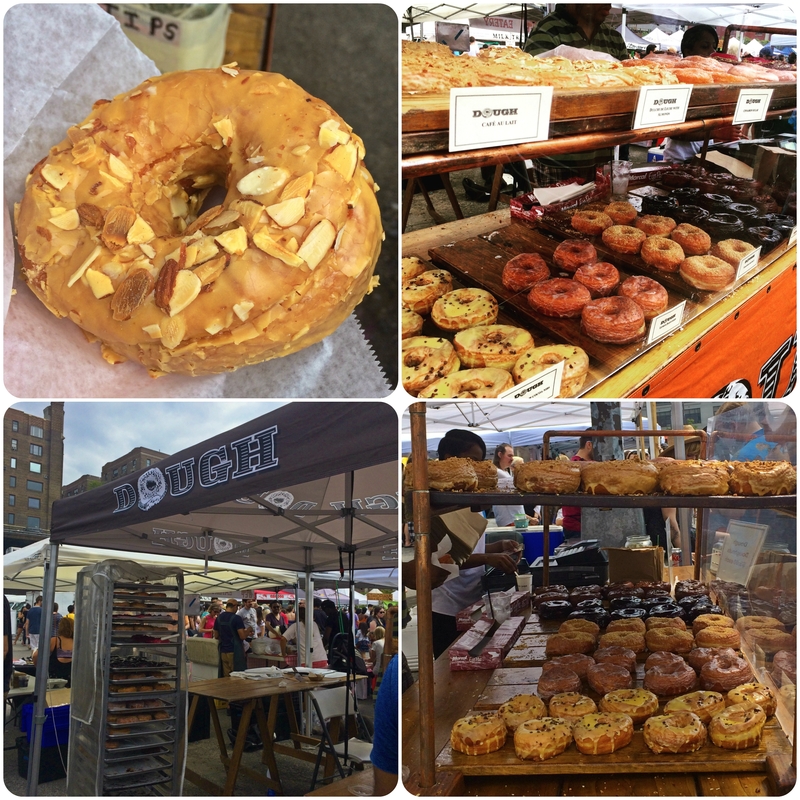 And for those of you that don’t know, Smorgasburg is a huge outdoor all-food market showcasing of Brooklyn’s best “artisanal food scene with over 100 local and regional vendors.” Making the event even more awesome is the location. The massive foodie event is right by the beautiful Brooklyn Bridge, over looking a refreshing waterfront setting, and of course, the lovely Manhattan skyline. 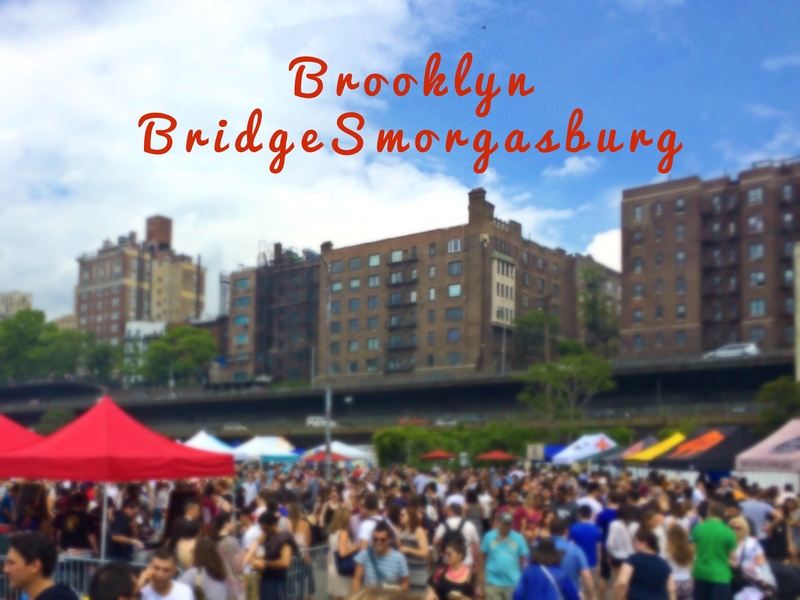 Over the weekend my bf and I decided to head over to the Brooklyn Bridge Park Smorgasburg where we gorged on some of the most delicious fun foods Brooklyn offers. The only downside to Smorgasburg is the crowds. And it gets pretty toasty around all the food cooking. But it’s totally worth it, promise! 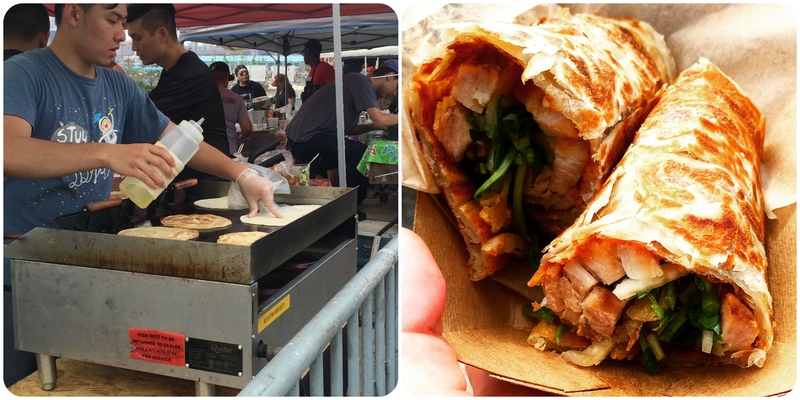 Our first Smorgasburg snack- of which I could have probs eatten like 3 whole rolls myself- were the scallion wraps from Outer Borough. First off, I love watching how the food is prepared! Clearly, these pancakes were fresh n’ hot of the griddle. Nick ordered the roast pork roll which had fantastic flavor- juicy, tasty and doused in a healthy coating of hoisin sauce. While I obvsssss had the pork belly stuffed roll. YUM. Y’all know how much I love pork belly. The meat had a nice crisp outer skin, some fat and so much savory flavor. Both of the scallion pancakes themselves were toasty on the outside and slightly chewy on the inside. Scallion wraps are officially on my favorite snack foods list! 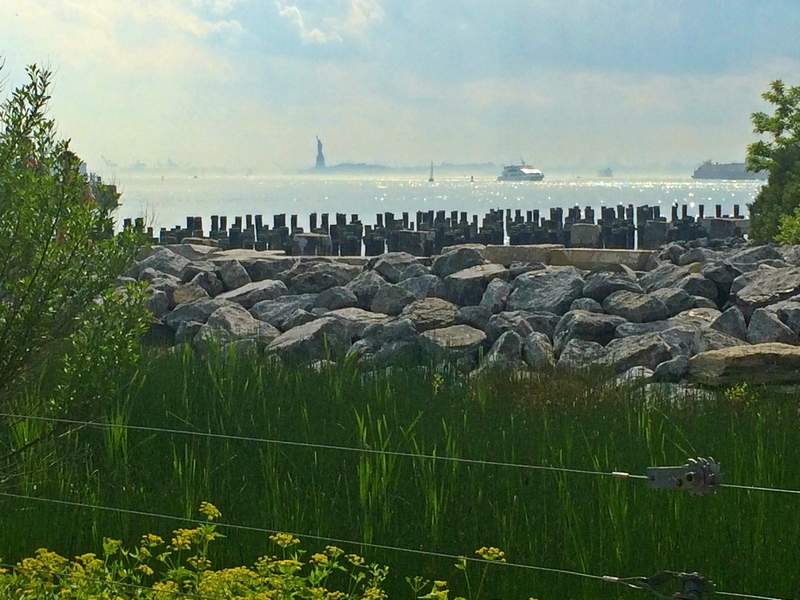 This post is part of the monthly blog event, Our Growing Edge. This event aims to connect food bloggers and inspire us to try new things. This month is hosted by Jordan and Cindy from My Daughter and I. Thanks dad 🙂 Love you! Reblogged this on I May Roam. Ramen burger! Never heard of that. Cool idea. Sounds like you had a great day.